PartyPoker has announced its most ambitious Powerfest which will guarantee more than US$11 million. The event will run from January 22 to February 5, 2017 with 224 events divided into categories or “weight divisions” namely, Featherweight, Middleweight, Heavyweight and High Roller. Buy-ins for the events may be as low as US$5.50 or as high as US$5,200. Each “division” has its own Main Event that guarantees US$40,000 to $1 Million. The Super High Roller Event which has a buy-in of US$5,200 will guarantee $1,000,000. And to top that, the Powerfest leaderboard has returned. Consistently winning players throughout the events will be rewarded with a leaderboard event. Top earners will share in tickets with a total worth of £225,000 for the £6 million guaranteed MILLIONS tournament at Dusk Till Dawn (U.K) which guarantees £ 6 Million with £1 Million going to first place. Powerfest was introduced by Partypoker for the first time in February 2016 and this has got to be the biggest one yet. 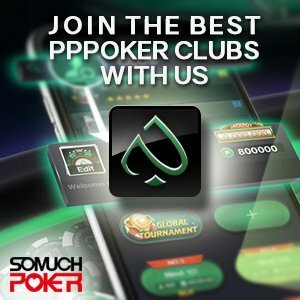 “Hosting Powerfest with our biggest ever guarantee of over $11,000,000 is an exciting challenge for us. We are always looking to build on the success of the previous Powerfests we have hosted,” said Tom Waters, group head of Partypoker. * For more information, or to discuss your personal partypoker deal please contact us here.